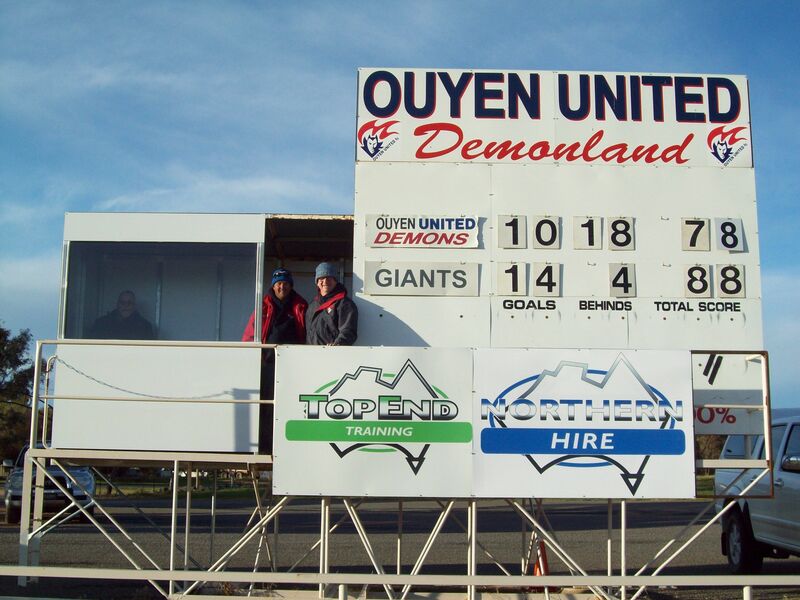 The famous Ouyen United Football Club scoreboard has recently been modernised with a specially designed indoor viewing area and perspex front where the local legendary scoreboard operators Geoff Amos and his able assistant Daniel Floyd perform their match day duties to perfection and now provide additional services to players, spectators and supporters. The extra space provides more than enough room for Eskies and is now able to keep the workers in a warm and safe area away from the occasional cold and wintery weather environment. The back of the scoreboard is also now a modern work of art. The boys have recently developed a way to tell the remaining time in every quarter. They have developed this trusted system which works with 98% accuracy by refusing to drink whilst the umpire has signalled time off. By a quick shake of the hand holding the can they can calculate by the weight and viscosity of the can the remaining time in the quarter. A truly unique and remarkable system. 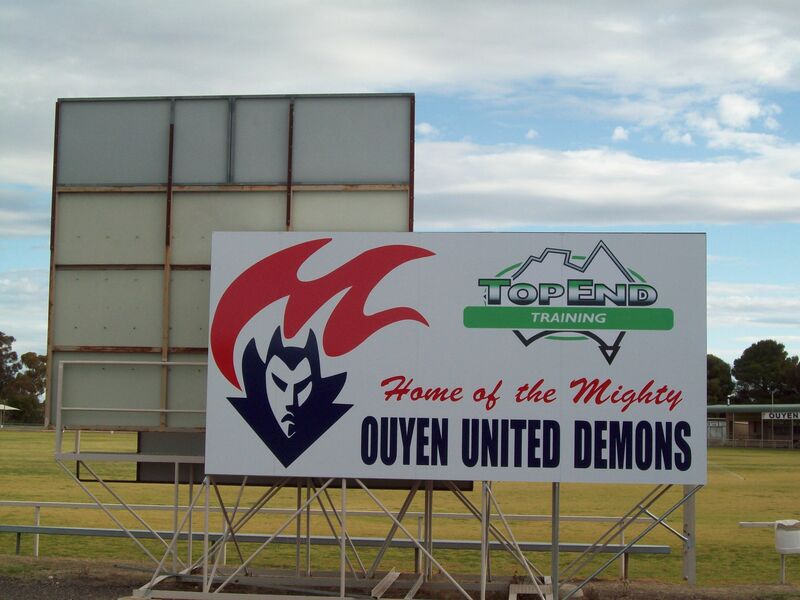 Rumours are currently rife around the club that a major sponsor is going to install an electronic scoreboard next year, which will be operated from the official time-keepers’ room. Fans have told the club in no uncertain terms to keep Geoff and Daniel at all costs.